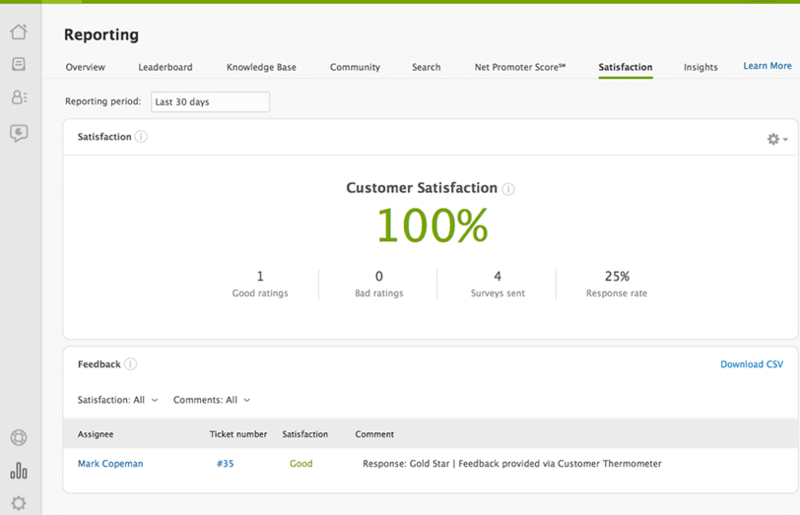 If you’re using Zendesk with Customer Thermometer ratings, and you want to post the results of your CT Surveys into the Zendesk satisfaction reports, here’s how. First, make sure that the Zendesk Customer Satisfaction Survey option is enabled. To do this go into Automations and disable the one which is called ‘Request Customer Satisfaction Rating System Automation’. 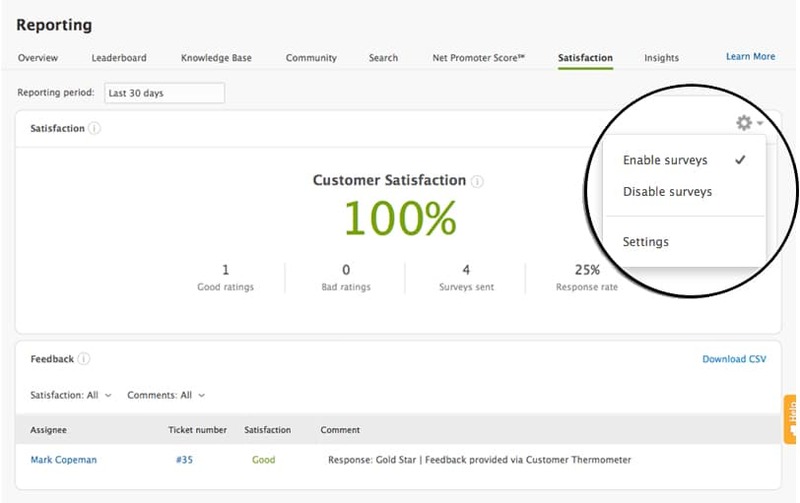 Next you need to embed your Customer Thermometer survey in your appropriate Zendesk trigger. You may see it post twice in the Zendesk satisfaction report but it counts once and is measured correctly. Some users have also reported that you may need to click the cog icon on the right of the satisfaction report screen, select disable then select re-enable to make them burst into life. Voila! Any problems, let us know.